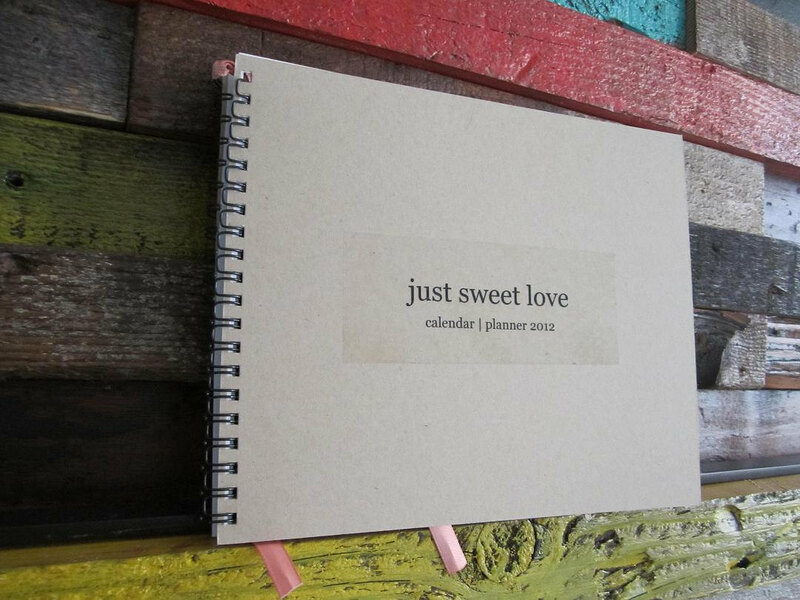 My new just sweet love planner!! I am obsessed with planners, and more importantly, the perfect planner. My adorable friend Jenny and her sister, collaborated to makes the cutest, and most perfect planner out there!! * leave me a comment, on this post, telling me one of your New Year's resolutions/goals for 2012!! This giveaway will end on Wednesday, January 4th! What a cute planner! One of my goals is to start being more conscious of what I'm eating and feeding my family. I would also like to do more crafts this year but I have a feeling once my little one is here that might be difficult. I also plan on going to school online which would be a great thing for my future. One of my goals for 2012 is to continue to make our house a home using personal touches through DIY/crafts. What a cute planner! It actually, helps inspire a 2012 resolution for me! My husband and I are adopting a little boy from Thailand this year and one of our goals is to scrapbook and document all of our feelings and adventures leading up to meeting him. 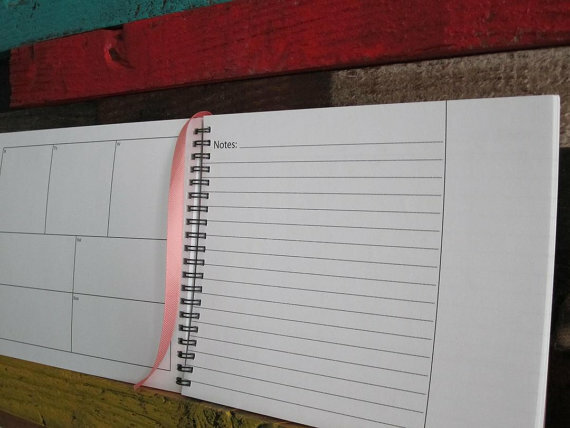 How cute would it be to put it in a planner form with a notes page of scrapbook next to each week! Even if I don't win the giveaway, I might have to follow up on this idea! Thank for inspiring creativity! One of my new years goals... Nurture my marriage. One of my resolutions is to not buy any new fabric this year. I have far too much in my stash, and need to use it, rather than adding to it! I am so in love with anything office supplies, especially planners, too! I actually live in Amman, Jordan but I am home visiting family and friends. It has been three weeks of cramming in some quality time with people I've been missing. SO - that leads me to my New Year's Resolution: To do a better job keeping in touch with people. Not just writing comments on pictures or liking things on Facebook, but actually initiating and maintaining correspondence with my friends and family. I want to start with a monthly 'newsletter' and actually keep some skype dates with friends despite the seven to ten hour time difference. I normally don't make goals because I am afraid that I won't do them, but I had proposed to myself to do a picture (photo) a day for 2012 and make a scrapbook. I bought the one that you recommended (project life) a few days ago.. so I guess that is a goal of mine. I hope to discover myself this year. This year I hope to get one step closer to own my own B&B. That's a super cute planner! One of my goals believe it or not is to become more organized! I just got a new job that will require lots of scheduling, so this would be perfect! One of my goals is to live one day at a time, so what better way to plan it or remember it than a cute planner? I wold love to start running & maybe run some sort of marathon! Clean eating! This is my year to lose all that stupid baby weight! So adorable! One of my goals for 2012 actually ties in perfectly with this planner; I want to manage my time better! One of my goals is to be gentler and work on being more feminine. That is one fantastic planner - and would totally come in use for school and keeping some sweet memories tucked away! One of my resolutions is to do more with and for others - be there more, listen more, be in the moment with them. This planner is awesome! It looks like it would make a cute scrapbook of your year in 2012. One of my resolutions is to spend less money. This planner is awesome! 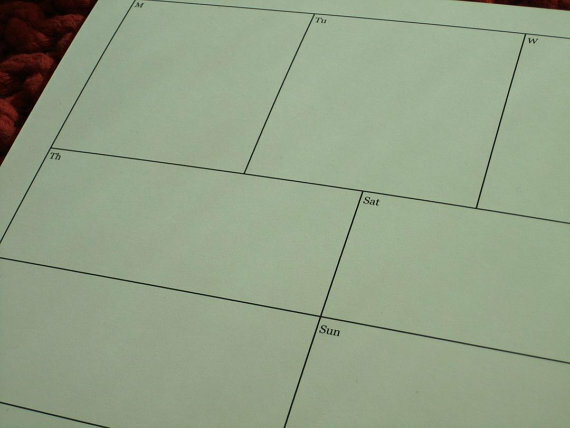 It looks almost like a blank scrapbook ready for notes and photos of your year. My resolution is to spend less money. One of my goals for the New Year is to learn to be gentle with myself. I want to learn to silence that critical inner voice and be more comfortable in my own skin. Ooooh, that does look like the perfect planner! One of my new year resolutions is to travel more. I'm giving myself a time frame to go places :) Next on the list, Southeast Asia! 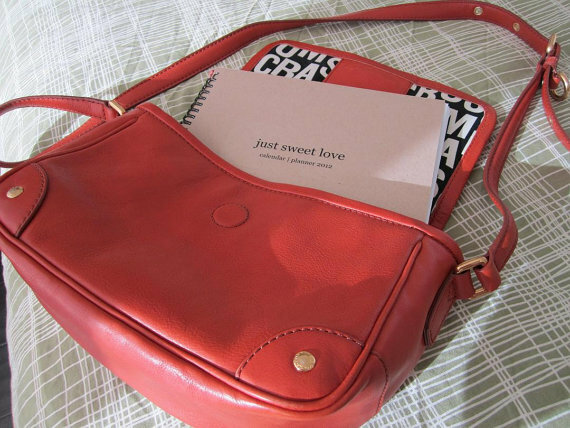 wow , damn want that superb planner ! My resolution for this new year is to have that superb planner ! i love, love, love this!! ive been looking for a perfect planner and this is definitely the top of my list. My goal is to start and keep a 5 year journal! Also, find a job! Hmm..losing weight!! My biggest goal! This is a very cute and neat planner! One of my goals for 2012 is to stay organized! I have a hard time keeping everything organized! This year will be the year that I accomplish this goal! 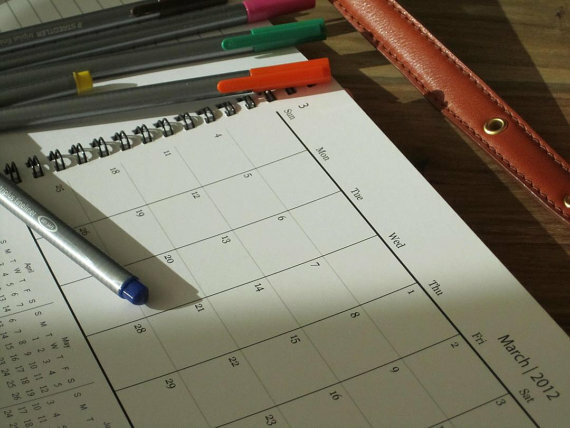 I saw a 365 day calender to stay organized and I am using it! One of my new year resolutions is to save money...and learn to become a great mom! So cute! One of my resolutions is to workout more! (SHOCK! whose isn't!?) But for real. I want to run a half marathon this year, so I need to start working to get there. Wow the planner looks great! My goal in 2012 is to continue to create more art pieces for my daughter's room, get a babysitter so I can go out and photograph without interruptions and get outside more since I stopped when I had my daughter January 2011. One of my goals is to find a job that I love!